Watch for WOODY GUTHRIE’S AMERICAN SONG tickets to go on sale later this week! And we’re pleased to introduce yet another new actor for her first time on stage! Very happy to have these six actors returning to the PenArts team! Stay tuned for the two more young actors who will be joining us! We are pleased to welcome these actors to the PenArts team for the first time! COMING NOVEMBER 7th – 10th, PenArts presents Michael LaChiusa’s SEE WHAT I WANNA SEE. The cast is set and names will soon be revealed. We are incredibly proud to put forth this wonderful project and tickets will go on sale soon. Fun pre-show events vary each night so be on the lookout! We hope to see and connect with you all there! I’ve always enjoyed dancing. When I was little, I never would’ve guessed that my devotion to flailing my arms, jumping high, and playfully kicking imaginary objects would evolve into a budding professional career in entertainment. At first, I planned to attend either criminal law school or study marriage and family therapy in graduate school. But, towards the end of undergrad at the University of Maryland, my plan shifted. I had always dreamed of performing on a huge stage or making my debut on the big screen. But, I never knew how to begin. Finally, I found my way and am overjoyed with what I’ve had the privilege of accomplishing in such a short time. See What I Wanna See – Coming November 2018! SEE WHAT I WANNA SEE, by Michael John LaChiusa, is a musical about murder, faith, lust, and redemption. It is based on three short stories by Ryunosuke Akutagawa, who is regarded as the “Father of the Japanese short story” and Japan’s premier literary award, the Akutagawa Prize, is named after him. The musical unfolds like a Japanese screen painting into three distinct tales that challenge the meaning of the truth and the contradictions of individual interpretation. The tales include “Kesa and Morito”, which is the story of two lovers with secret plans for each other; “R Shomon” follows the investigation after a 1951 murder in Central Park; and “Gloryday” looks at the hoax a disillusioned priest concocts after 9/11 and the ramifications of that lie. We were honored to present the first ever licensed production of SHINING LIVES: A MUSICAL by Jessica Thebus and Andre Pluess. We were pleased that we could share the story of these brave women and bring their names and stories to light again. May they never be forgotten. 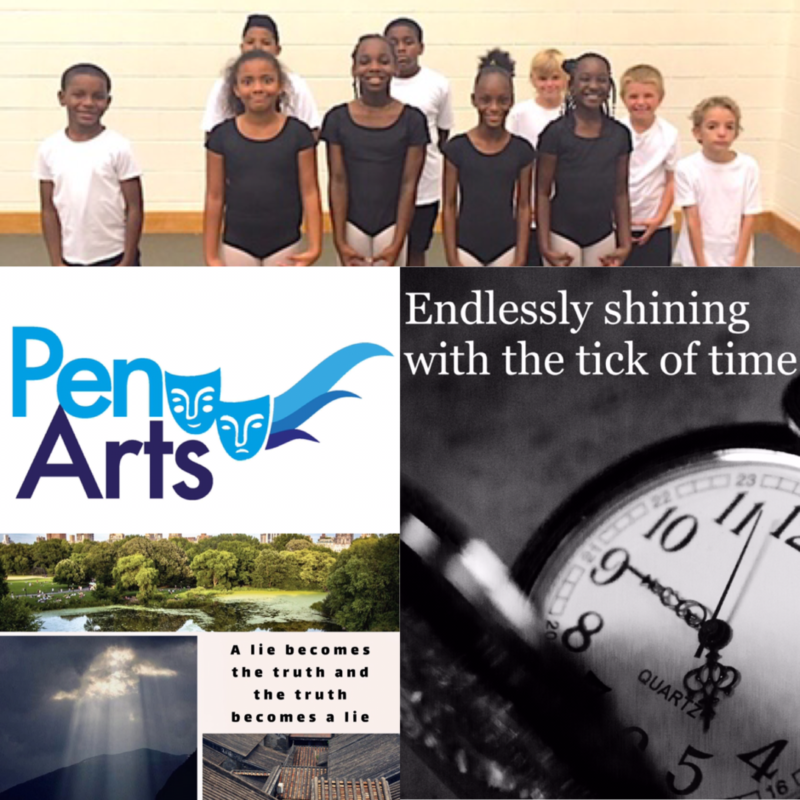 Thank you to all who attended and donated to PenArts,Inc at our recent fundraiser. It was a great success and we truly appreciate your support. Our after-school classes continue and we look forward to growing the program, with the possibility of adding a summer program this year as well. Please, contact us if you would like to participate or help in any way and we look forward to seeing you again at our next fundraiser later in 2018!